Update: Very sadly, in November 2012, Maximo’s closed its doors. Nothing makes me more giddy than when a new restaurant opens up in my hood. Nothing except when said restaurant then announces that they DELIVER!! I know you all are with me. We all order delivery every now and then, and we all get sick of ordering either Chinese food or Italian food to be delivered. So if this healthier, real food option started delivering in your area, I’m thinking you would be pretty stoked too. 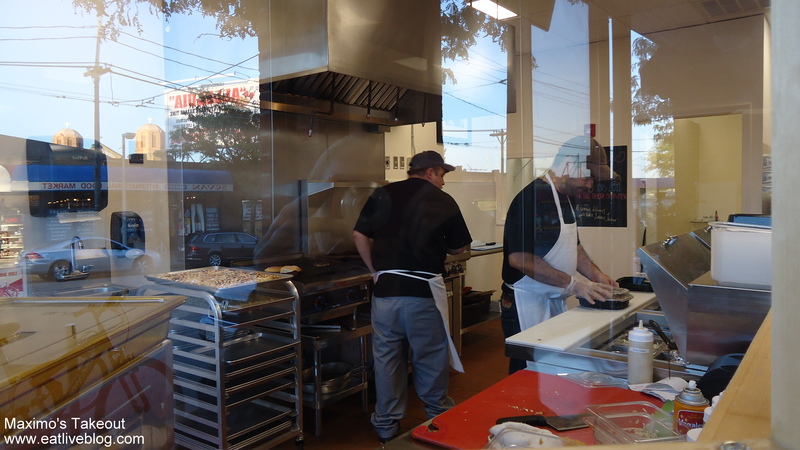 Maximo’s large, clean kitchen is surrounded by plexiglass so you can watch your food being made! Introducing (drum roll please)….Maximo’s Takeout! 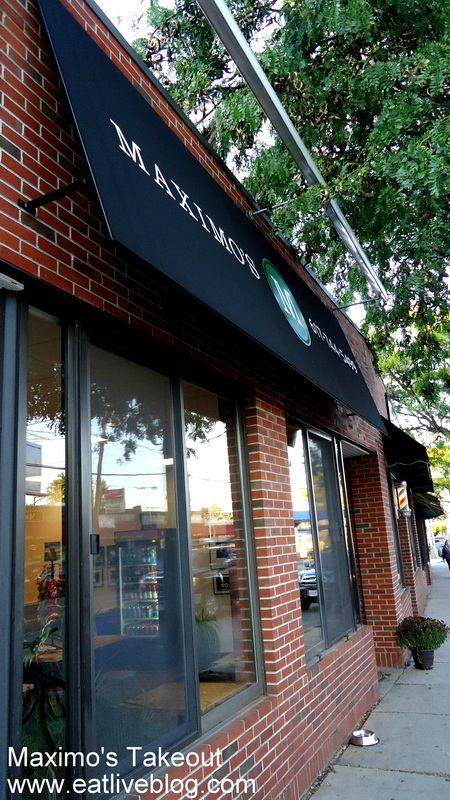 Right at the intersection of Cambridge, Watertown and Belmont, Maximo’s is super convenient. The only downfall is parking on Mt Auburn Street, which can be hectic. But, if you are in the know, you park on one of the side streets abutting Maximo’s building. Maximo’s is takeout, but they do have limited seating in case you like it too much to leave! 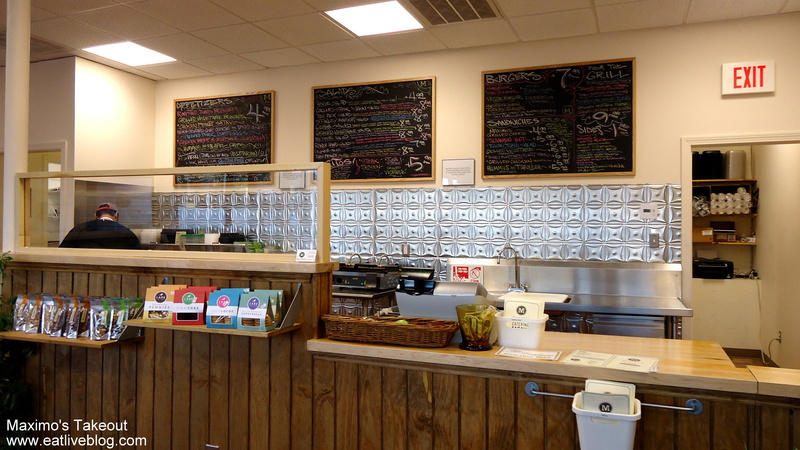 …to provide healthier, more creative options with the added ease of takeout or delivery. Scattered within our menu you will find superfoods such as sweet potatoes, kale and quinoa; comfort foods such as grilled cheese and burgers; with a touch of local inspiration. By looking at the menu, it seems to be a goal well fulfilled. With the added plus of there being something for everyone. 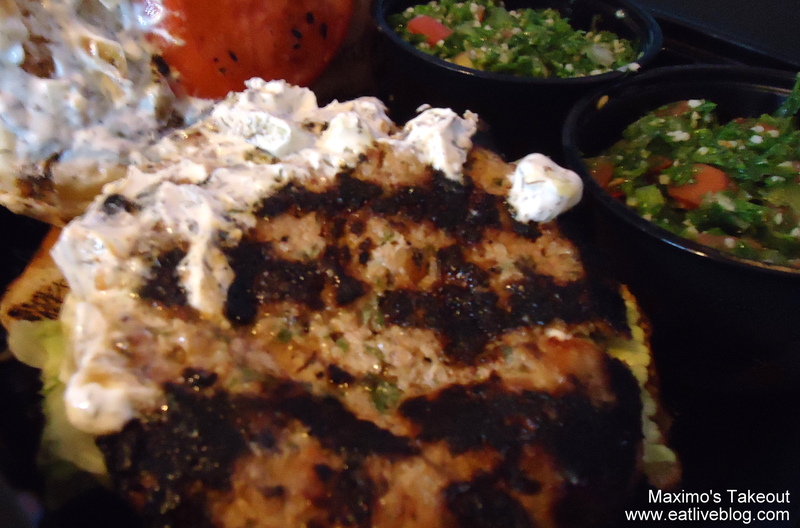 The menu really runs the gamut in choices, from burritos ($5.99), to a cilantro lime grilled tuna dinner ($9.99), to (my favorite) the Mediterranean Turkey Burger ($7.99) which is Ground turkey mixed with tabouleh, goat cheese, & Maximo’s special spice blend. Served with djaiki sauce, lettuce, & grilled tomato. Oh man is it good. 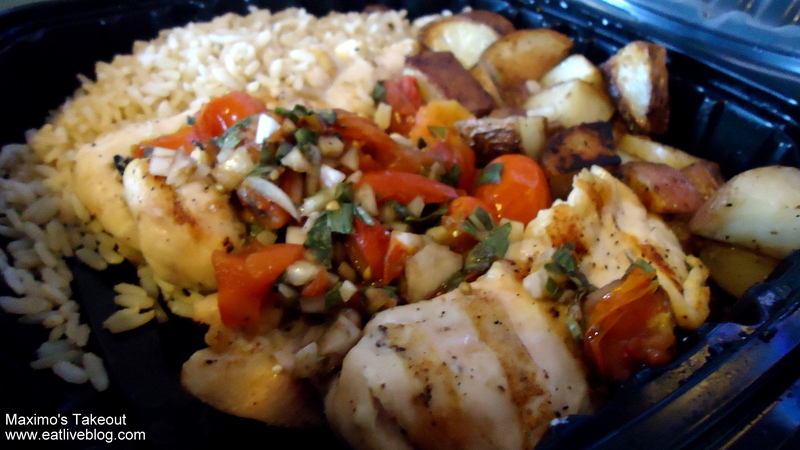 Ryan had the Grilled Chicken Bruschetta dinner ($9.99), which came with two sides. The house roasted potatoes are an absolute MUST! They are perfectly seasoned and roasted. 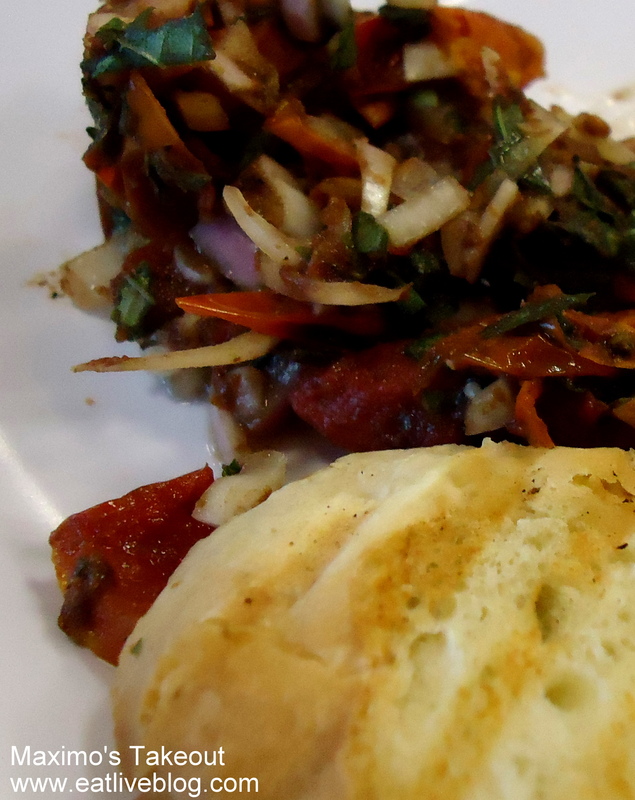 The chicken breast was well grilled, and topped with bruschetta, which was exceedingly fresh. To top it all off, Maximo’s is owned and operated by a great local family. At any time that you stop by, you may find family, friends and neighbors all dropping in to say hi and grab a delicious dinner. It is a nice thing to see in these times. So, the analysis…. 2 enthusiastic thumbs up! I highly recommend that you give this great local joint a try. I haven’t tried their delivery service yet, but you can bet I will soon! Thanks for posting this, Renee! I walked by there a few weeks ago and was wondering how it was (especially since they mention gluten-free options, which means my wife can eat there). btw, you know that Jasmine Taste of Persia (down the street) also delivers excellent non-Italian/Chinese food, right? Adam I didn’t know Jasmine delivers! Thanks for the heads up! Yum! A must try next time I’m at Arax!